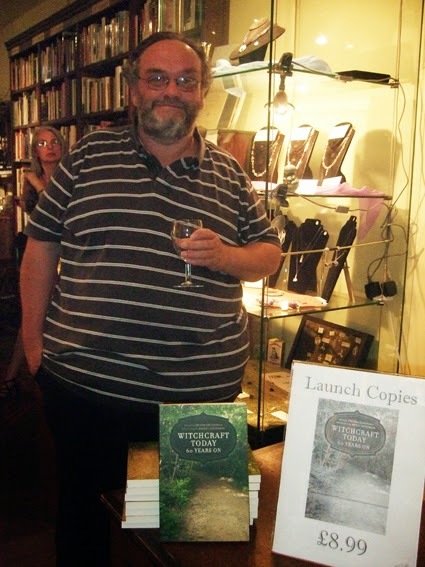 Here are two photos I took last night at the launch party for Witchcraft Today - 60 Years On at Treadwell's Books in London. The picture at the top shows Christina Oakley Harrington of Treadwell's giving a talk about British witchcraft from the fifties to the seventies. This was an abbreviated version of a lecture she gave recently in New York and was primarily about how the English Press reported on Wicca and witchcraft in the mid-20th century. The tabloid papers often gave particularly lurid, sensationalist and inaccurate accounts of what went on in the Craft. 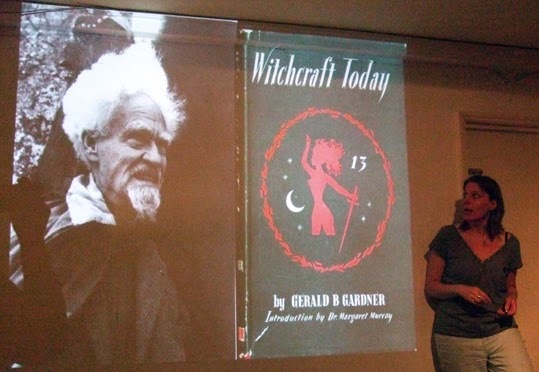 Gerald Gardner was one of the few Wiccans willing to speak to the Press at the time and his book Witchcraft Today was partly written to try to redress the balance and give the public a genuine insight into what witches do. Copies of the book can be bought at Treadwell's, in Store Street, London WC1E 7BS and from the Treadwell's website. On each Pagan Eye post, I show a photo or two that I find interesting, with a few words. It can be a seasonal image, a pagan site, an event, or just a pretty picture. If you want to send me a photo for a Pagan Eye post, please email it to badwitch1234@gmail.com Let me know what the photo shows and whether you want your name mentioned or not. For copyright reasons, the photo must be one you have taken yourself and you must confirm that you are submitting it for A Bad Witch's Blog.